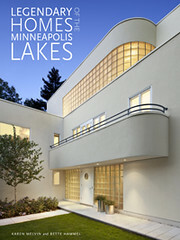 As many of us run, bike, or walk around the Minneapolis Chain of Lakes, we admire the beautiful homes on their shores and wonder, “what is it like in there?” With Bette Hammel and Karen Melvin as our guides, we can finally get an inside look at twenty-six of the most architecturally significant homes in their new book, Legendary Homes of the Minneapolis Lakes. 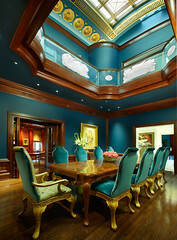 Generous homeowners have opened their doors and shared the stories of construction, renovation, and interior design. Featured architects include Harry Wild Jones, Purcell and Elmslie, Edwin Lundie, Close and Associates, Vincent James, and David Salmela. The authors will present a slide show and talk about the book this Thursday, November 1, at 7:00 p.m. at the Lake of the Isles Lutheran Church at an event sponsored by Birchbark Books. Click on the book link, above, for more information on author events and to view a slide show from the book in the Star Tribune and to read an excerpt in Midwest Home. 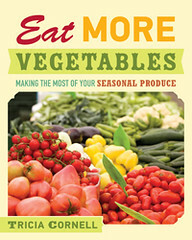 In recognition of national Food Day, a movement for healthy, affordable, and sustainable food, today’s guest post is from Tricia Cornell, author of Eat More Vegetables: Making the Most of Your Seasonal Produce. I recently had the pleasure of hearing Chris Blanchard speak about the challenges of organic farming. Chris is a farmer at Rock Spring Farm and a farming consultant. He helps organic farmers get started or scale up. Then, for the audience, he mimed a new organic farmer trying to figure out how to make a living: Okay, if I want to make X thousand dollars a year — and here Chris named a figure that was just barely middle class — and I can get about X pounds of vegetables off an acre and sell them for X dollars a pound . . . then I need about 10 to 15 acres of vegetables under cultivation. Plus acreage for crop rotation. And here is where these hypothetical farmers probably need to sit down for a minute to catch their breath, let their hearts stop racing, and think about how on earth a single farmer or a farming couple could possibly work 10 to 15 acres by themselves. Are there enough hours in the day? Is it physically possible? Never mind that cropland in parts of the Midwest is selling for the truly gobsmacking price of $10,000 an acre. And yet, because it takes a special kind of person to be an organic farmer, and that kind of person isn’t going to be daunted by impossibilities, Chris has farming clients who want to make it work, and, more importantly, we have organic produce in our co-ops, farmers markets, CSA shares, and, increasingly, big-box food stores. Organic food sales reached $26 billion in 2010. That’s about 4 percent of total food sales. According to two separate studies, 26 percent of people say they regularly buy organic food, but nearly 60 percent say they would like to. One organization trying to bridge that gap between the desire and the ability to buy organic is the Center for Science in the Public Interest. CSPI has declared October 24 Food Day and is organizing events around the country to celebrate and promote good, sustainable food. In honor of Food Day, I’m looking forward to attending tonight’s screening of Food Fight at Open Arms. I’ll be part of a panel discussion about our food system with Mike Venker, board member and Cargill division vice president; Lindsay Rebhan, urban farm consultant; Open Arms baker/farm liaison Rita Panton; and Farm Director Ben Penner. My family has been getting fantastic organic produce from Hog’s Back Farm for nine years. Every Halloween I use the beautiful butternut squashes we get to make a big pot of squash chili and serve it at our block’s pre-trick-or-treating potluck. Squash skeptics often find that the mild-mannered cucurbit needs a little bit of kick. Or a lot. And this chili has a lot of kick. It’s bone warming and comforting and packed with nutritive goodness. The trick is to cut the squash nice and small so the texture is like chili and not like squash in sauce. Definitely use butternut squash for this recipe: it is easy to peel and cut and will hold its shape nicely. Place oil, onion, garlic, and spices (chili powder through red pepper) in a large, heavy-bottomed saucepan over medium-low heat. Stirring occasionally, cook until onion is soft and translucent, about 8–10 minutes. Stir in tomatoes, wine, and squash. Increase heat to medium-high and bring to a low simmer. Cook until squash is soft, about 20 minutes. Season to taste. Stir in cilantro. 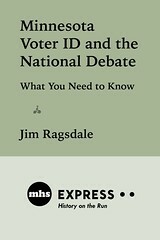 Minnesota Voter ID and the National Debate: What You Need to Know is a new original e-book short by veteran reporter Jim Ragsdale. The book is available for $0.99 from most popular e-book vendors, including amazon.com, bn.com, kobobooks.com, and iTunes. In rushing from event to event covering the photo ID issue in Minnesota for the Star Tribune, it is hard to find time to put what’s happening into a national and historical context. I tried to do so in this piece, and to direct readers to court cases and books that do that far better than I. The experience helped me understand why making any change in our voting system is so difficult. This most basic right (and rite) of citizenship is how “We the People” choose our leaders. But the meaning of those words in the preamble to the Constitution has divided us since the days of George Washington. The framers fought over who should vote. The Civil War, the women’s suffrage movement, the Civil Rights movement, the draft and the Vietnam War — all enlarged the meaning of who “We the People” are, and who can vote. Seven amendments to the Constitution have been needed to expand and clarify voting rights and election procedures. Nearly a century passed between the Fifteenth Amendment of 1870, which protected voting rights of black men who had been enslaved, and the Voting Rights Act of 1965, which was needed to end Jim Crow laws in the South and enforce the Fifteenth Amendment. So the photo ID movement sweeping the country, despite its common-sense appeal in a society where IDs are required in virtually every transaction, runs headlong into this history. And it is not ancient history. In my lifetime, people have fought and died on our soil for the right to vote. I hope readers can begin to see this historical and national context as they watch the ID drama unfold. 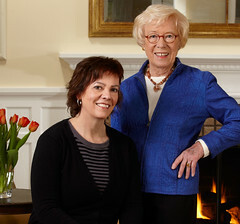 Rae Eighmey is the author of several books published by the Minnesota Historical Society Press, including Food Will Win the War and Potluck Paradise (coauthored with Debbie Miller). 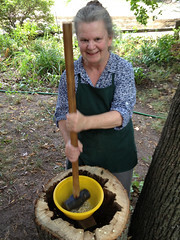 She is currently working on a book about pioneering midwestern foodways. She lives with her husband in St. Paul. What is a typical weekend for you? Weekends and weekdays are pretty much the same if I’m actively researching, writing, or testing recipes. The piles of files around my desk or in the kitchen take on lives of their own, and they need to be attended to. When I have projects simply under thoughtful development, then the weekends are an opportunity to ponder as I putz in the garden, arrange and rearrange bookshelves, fold laundry, or watch the snow fall. Sometimes the Muse arrives. Sometimes she doesn’t. The very nice thing about living in Minnesota is that the time is generally spent pleasantly either way. What/where do you eat on weekends? What’s a typical Sunday breakfast at your house? As I write this, I’m coming to the conclusion that my husband and I really are homebodies. We seldom eat out. We’re not big breakfast eaters, but sometimes on cold winter mornings I’ll pull out the waffle iron and make cornmeal and rice waffles. I discovered the recipe when doing research on World War I food conservation. They are great for dinner, too, under creamed chicken. What’s your weekend reading like? I tend to let magazines accumulate, so weekends are a good time to sort through them while the football games play on TV. We’ve been associated with several universities, so we have a lot of teams to cheer—Iowa, Iowa State, University of Alabama, and, last but not least, go you Gophers! When we lived in New Jersey, the “arts” half of The New York Times was delivered to our door on Saturday. Now it arrives in one gigantic glump. Sometimes I don’t get through it until the following Saturday. Books fall into my lap as well. I must confess to taking guilty pleasure in the adventures of Lucas Davenport as he cruises in his Porsche through my neighborhood, thanks to the pen of John Sandford. What is your top Minnesota getaway? Our Minnesota getaways vary with the seasons. Now that it is fall, there’s nothing we enjoy more than a drive down along the Mississippi River into apple country. 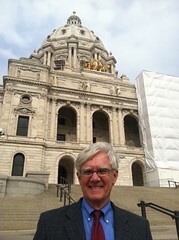 Out of St. Paul and on to Highway 62 past Red Wing, the first of the great river towns on the Mississippi. On through Lake City, Wabasha, and Winona as the road becomes a designated scenic highway with views of the river and high bluffs filled with fall-blazing trees at every gentle turn. We’ll stop for apples and more at roadside stands. 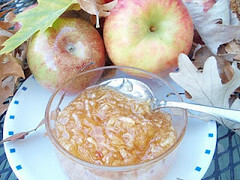 Mix apples and sugar and let stand for 2 hours or longer. Stir from time to time until sugar is dissolved. Put apples into a large saucepan, at least 3 quarts. Bring to a boil over medium heat. Lower heat and cook for 10 minutes, stirring from time to time. Store in refrigerator. Makes about 2 pints. NOTE: Other varieties of apples may work just fine, but I have only tested this with the McIntosh. 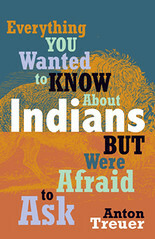 Anton Treuer, author of Everything You Wanted to Know About Indians But Were Afraid to Ask, was on NPR’s Tell Me More earlier this week, discussing the real story of Christopher Columbus. “I think there’s a growing awareness that Columbus didn’t discover America–that the place was densely inhabited by other human beings. But certainly the Columbus experience would change the entire world. But in spite of the fact that Christopher Columbus wrote lots of letters and kept many journals, and by his second voyage there were many official scribes, army officers, priests, writing about the experience, over 500 years later this piece of history gets sugarcoated a lot. “And you know, we now know as a fact of history that on Columbus’s second voyage, the Spanish instituted a gold dust tribute, whereby those who failed to bring a certain quantity of gold dust would have their hands chopped off. And we know for a fact of history that the Spanish cut the hands off of 30,000 people that year on the island of Hispaniola–what’s now Haiti and the Dominican Republic. Check out Anton Treuer’s answer to “What is the real story of Thanksgiving?” from the book Everything You Wanted to Know About Indians But Were Afraid to Ask. Treuer’s recent in-depth television interview on C-Span’s Afterwords is also now available. This year’s Twin Cities Book Festival will take place at the state fairgrounds in St. Paul this Saturday, October 13, from 10 am to 5 pm. 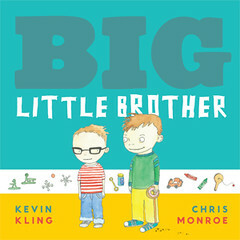 The Children’s Pavilion will feature MHS Press authors and illustrators Kevin Kling, Chris Monroe, and David LaRochelle, among others. Gale Woods Farm in Minnetrista celebrates its annual Fall Festival this weekend with a cornucopia of activities, including sheep dog herding, sheep shearing, musical performances, over twenty fiber and food vendors, and guest chef cooking demonstrations with Tricia Cornell, author of Eat More Vegetables: Making the Most of Your Seasonal Produce. Tricia will demonstrate and pass out samples of two recipes each day. At 11 am she’ll prepare Squash-Tomato Soup (recipe below) and at 1:15 pm, Sweet Potato-Blue Cheese Soup. If you miss Tricia at the farm, she’ll be in Stillwater on Friday, October 19, at 6:30 pm at Ascension Church with samples provided by Our Community Kitchen and books available from Valley Bookseller. Most recipes for squash soup are based on apple cider or just squash and cream. But squash is entirely lacking in acidity. Tomatoes, it turns out, have that complex tartness squash needs. The key here is that you’ve got at least equal parts tomato and squash (I sometimes up the ratio of tomatoes even more). If you’re using whole tomatoes, peel them first. Place first 7 ingredients (shallot through oil) in a large, heavy-bottomed saucepan set over medium-low heat. Stirring occasionally, cook until onions are soft and translucent. Add squash and tomatoes and bring to a simmer. Use a stick blender to puree and fully mix the ingredients, or blend in batches in a standing blender and then return the soup to the pan. (If you use a standing blender, fill the pitcher no more than halfway and then place a dish towel over the lid and hold it down firmly with your hand. Hot liquids in a blender can explode.) Add cream and gently heat through. Serve with balsamic vinegar and/or blue cheese. You can use just about any kind of winter squash to make your puree, although some, like hubbards, tend to be a little more watery. To make squash puree, cut squash in half vertically, scoop out and discard seeds (or roast them: see below), place cut-side down on a rimmed baking sheet, and bake at 400 degrees until pressing a finger against the skin leaves an impression. The timing will vary greatly by the size and type of squash, so start checking after about 20 minutes but allow up to 40 for large, hard squashes. Cool slightly and then scoop out flesh and puree in a food processor. Scoop seeds into a bowl of water and allow to sit for 30 minutes to an hour, to loosen pulp. Rub between your hands to help release the seeds. Heat oven to 375 degrees. Spread seeds on a towel to dry slightly and then transfer to a rimmed baking sheet. Sprinkle with coarse salt and paprika, using fingertips to distribute salt well. Bake 10 to 15 minutes, stirring often and listening for “pops” that tell you your seeds are exploding. Most squash seeds roast well, but larger seeds (seeds from a turban squash are about the size of a lima bean) are too tough to enjoy and tend to explode in the oven, anyway.